In a large glass measuring cup, whisk together milk, cinnamon, and vanilla bean seeds. Scoop the quinoa evenly into serving bowls. 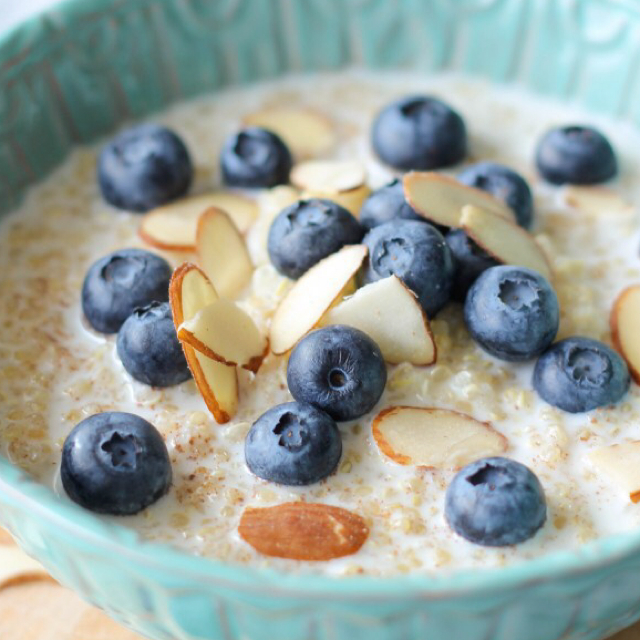 Serve immediately with milk mixture, topped with blueberries, almonds, and a drizzle of honey..